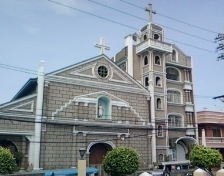 One of Taguig City’s historical landmarks, Dambanang Kawayan, known as Saint John the Baptist Church is located at Barangay Ligid-Tipas, Taguig City. It previously belonged to the Archdiocesan Shrine of St. Anne in Sta. Ana, Taguig City. At first, you’ll find that there’s nothing special about this church for it looks like any other church but you’re wrong. Inside, you’ll see how unique and simple this church is. Unlike any other church, its church pews were made of bamboo which makes it look comfortable and presko to sit on. The ornaments inside were also made of bamboo and a small bahay kubo could be seen by the door. Looking at this church will make you feel the true essence of being a Filipino through the simplicity it shows.